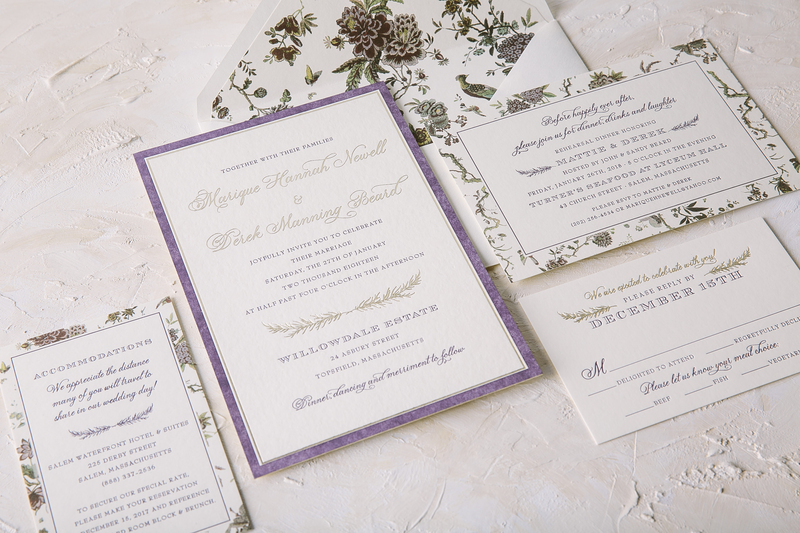 At the 2015 National Stationery Show, we launched a variety of new Everyday products as well as two new custom albums: Smock Wedding Volume 6, and our first-ever Holiday Album. 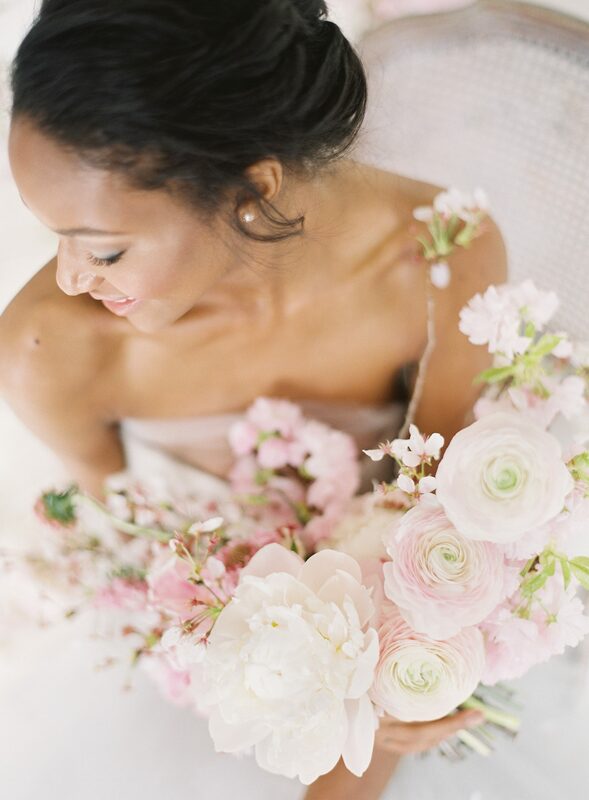 Volume 6 features 12 new wedding designs, complete with invitations, save the dates, and additional suite pieces. We also added foil stamped envelope liners (more to come on those! ), plus stylish new patterns and fonts. 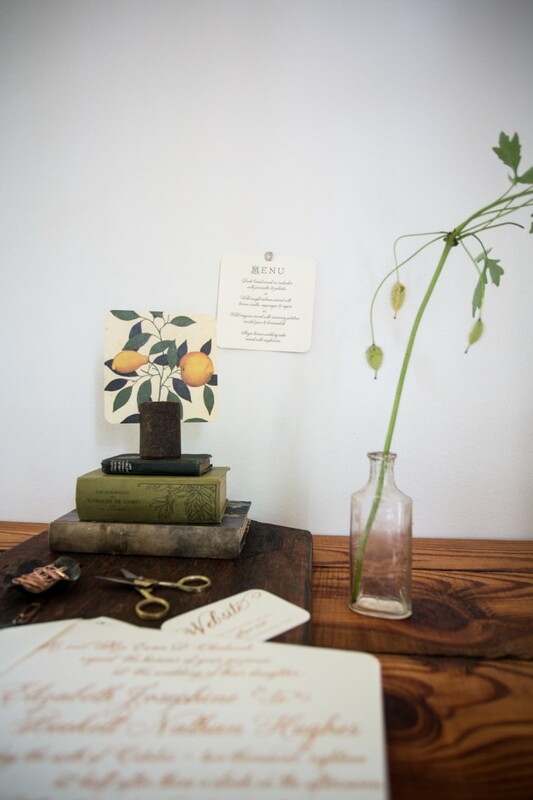 Both of our new albums will be available to view in person at Smock stores around the country this summer, but here’s a peek at some of our new wedding suites! 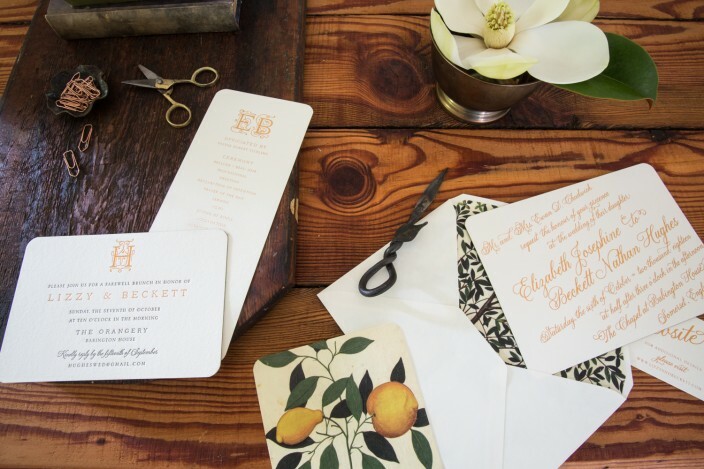 Prescott is a nautical letterpress suite with modern charm. 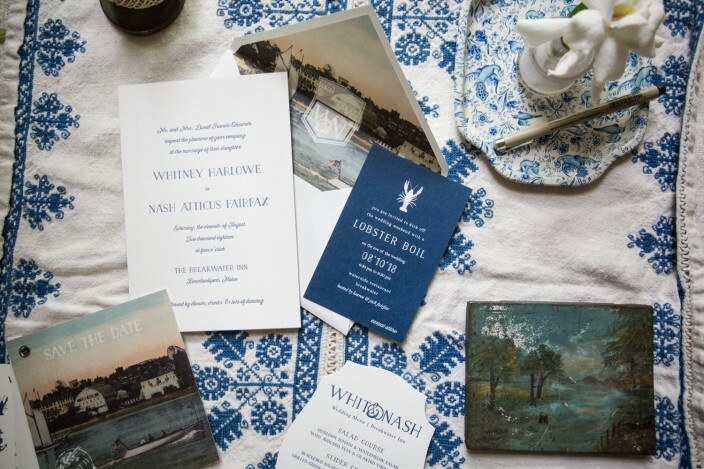 We love the additional pieces, too – the envelope liners and save the dates feature a vintage, nautical print while the digitally printed welcome party cards feature a bold shade of blue. Rose gold shine is the focus of Ellory, a modern design suite with feminine appeal. 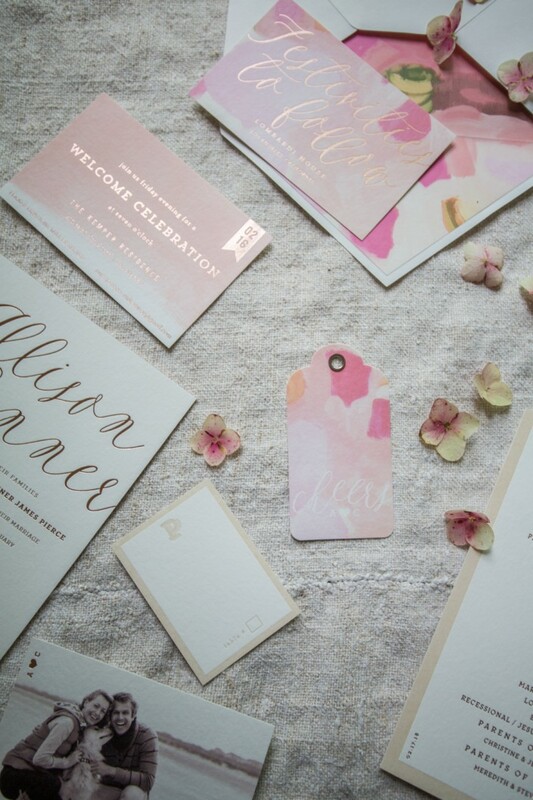 Digitally printed patterns and cute motifs are featured throughout the additional pieces, such as the save the date, welcome party card, gift tag, and reception card. Haynes has rustic charm with a touch of elegance. 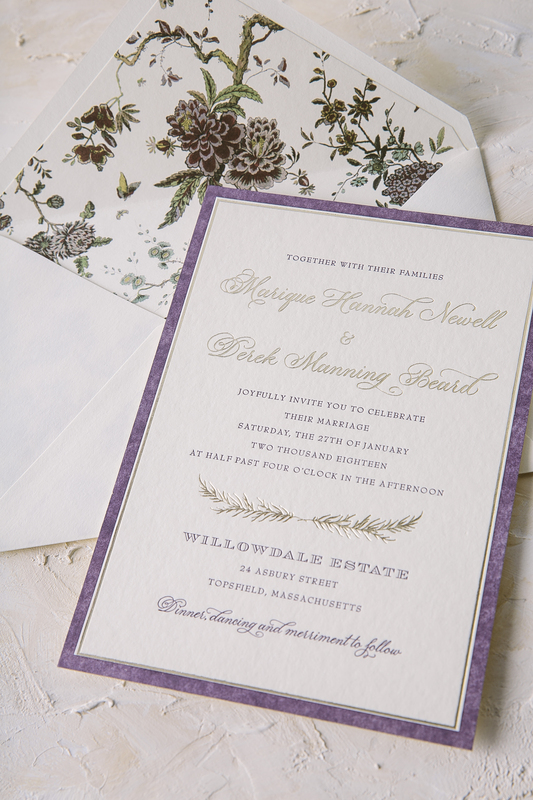 Letterpress printed and foil stamped on our ivory bamboo paper, the suite includes a photo save the date and vintage map patterns. 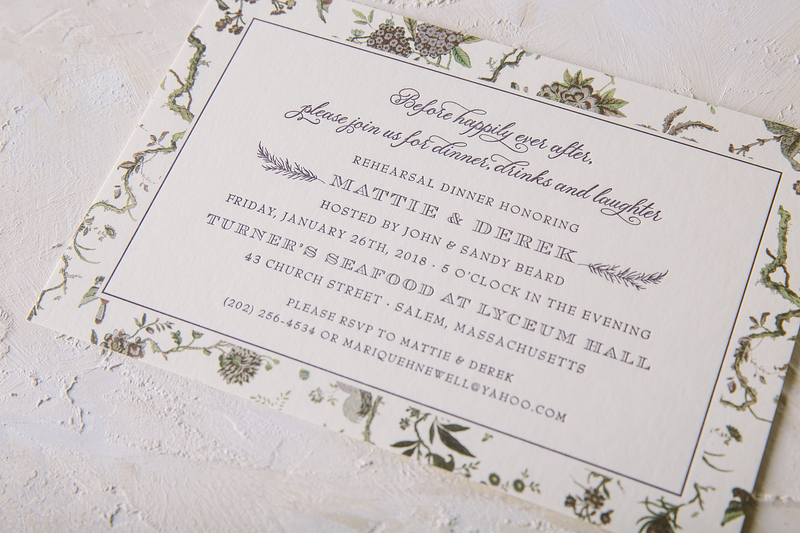 Foil stamped on our new, 100% recycled gray paper, Greely features tawny matte foil, delicate floral motifs and a modern script font. Donegal is a formal suite with a hint of European flair. 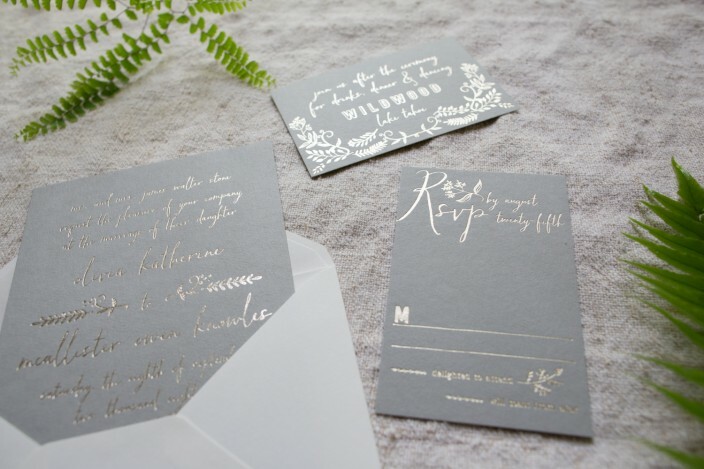 Printed with copper shine foil on our ivory bamboo paper, the design features our Plaza calligraphy font by Sarah Hanna along with vintage print patterns. 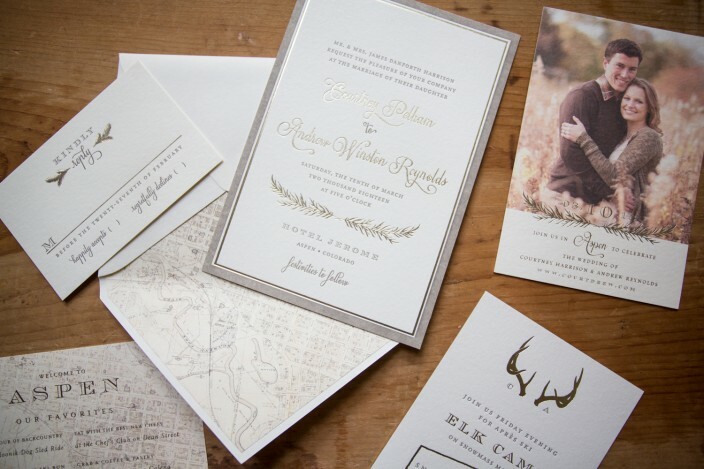 Be sure to check out all of our new wedding invitations and order samples of your favorites today!